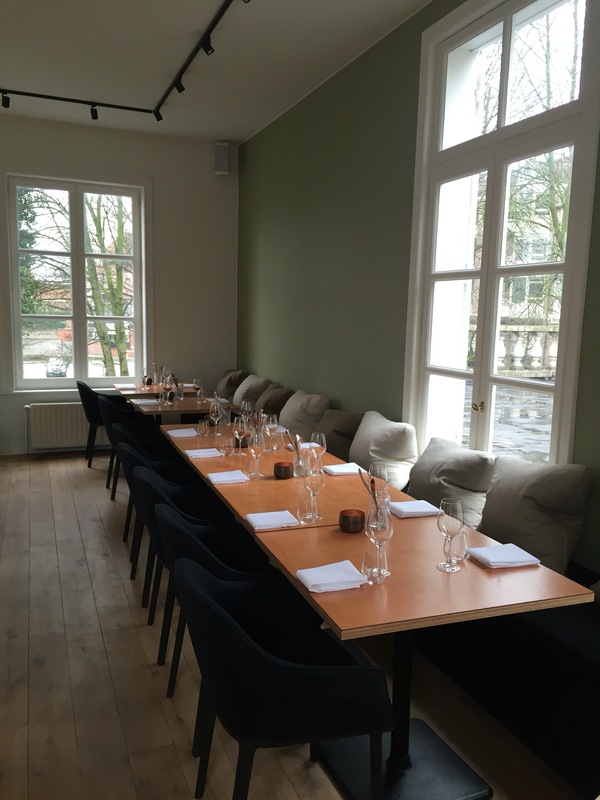 When Sofie Delbeke and Matthieu Beudaert moved their Michelin starred restaurant to a beautiful house in the heart of the historical city centre in Kortrijk (West-Flanders, Belgium), they quickly realized the huge potential of the first floor, above their first restaurant, Table d’Amis…and so they started planning the creation of a second, one… Gust Gastrobar. The idea here is to offer hearty, tasty local dishes and some terroir specialties, from close by and further away. All of this, brought with a good portion of Michelin know-how and experience, but with a definite no-nonsense, informal approach. The dining room is wrapped around the open kitchen and has been styled in a clever way, perfectly marrying design and the grandeur of this historical building. The large windows offer nice views and there’s a big terrace for warm summer days. The menu is divided into kleine gust (the starters), grote gust (the mains) and zoete gust (desserts). 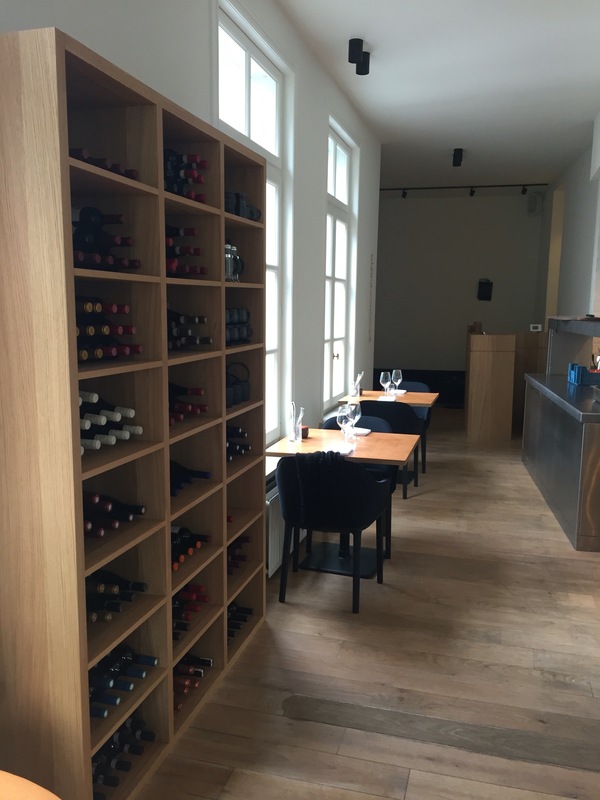 The wine list offers a very large (in variety and price) choice of top quality bottles…you can see the hand of the charming hostess of Table d’Amis, Sofie Delbeke in the way this wine list was conceived. Kleine gust offers a series of homemade starters and a selection of cheeses and cured meats to get things goin. In fact, if you are 4 or more it really becomes interesting because you can order a nice selection from the menu and share. 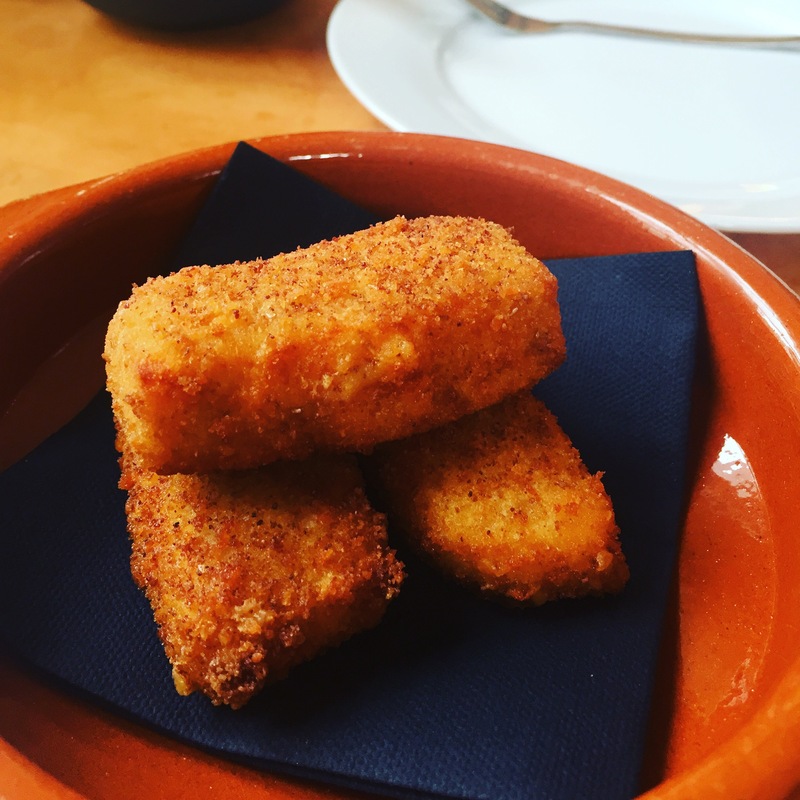 Ideal to create a relaxed atmosphere, tasting all the goodness that they serve here, talking about food and wine, well, in other words having a good time… I had the delicious cheese croquettes made with the local cheese ‘brique des flanders’. Crisp on the outside, silky smooth and perfectly hot on the inside…and with a very pleasant, surprising spicy touch…mmmmmmmmmmm. The main dishes are prepared on the Mibrasa grill and can be ordered with side dishes that are charged separately, which is very common in the UK but relatively new in this part of the world… The difficult task of making choice between so many good things is yet again a challenge if you’re eating alone…so hard!!! 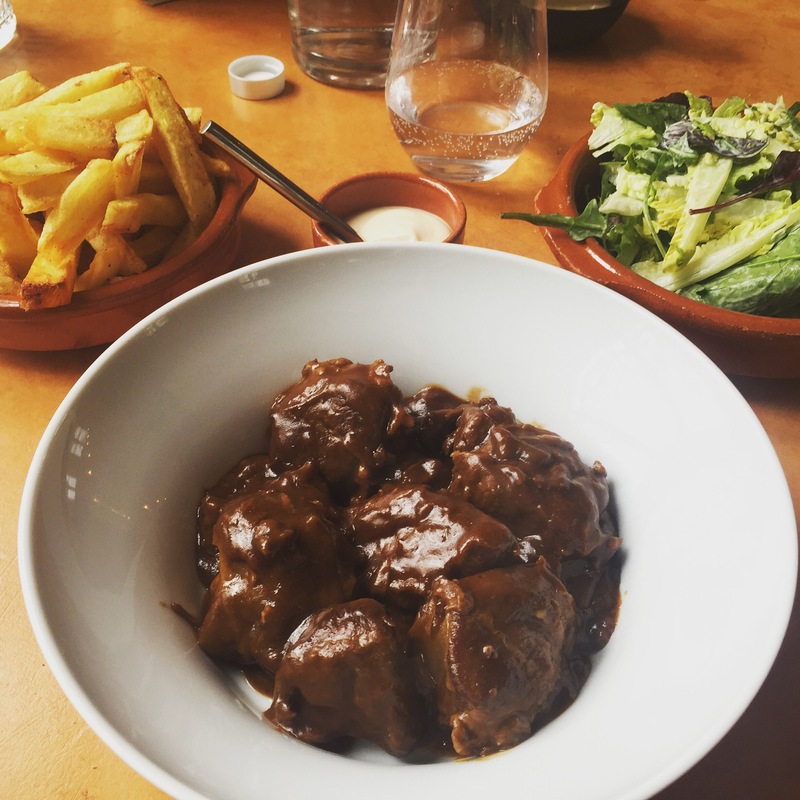 From the selection of meats and fish, I went for the pork cheeks prepared as a stew with Gouden Band, an excellent local beer, and Wostynmosterd…with fries and salad as sides. Pork with a nice, slightly fatty texture, not dry at all, divine sweet/sour/bitter sauce, perfectly balanced…a real treat! I was a bit in a hurry so I skipped the sweets and went straight for coffee…still enjoying the nice meal I just had…Perfect and friendly service made this a most enjoyeable overall experience. 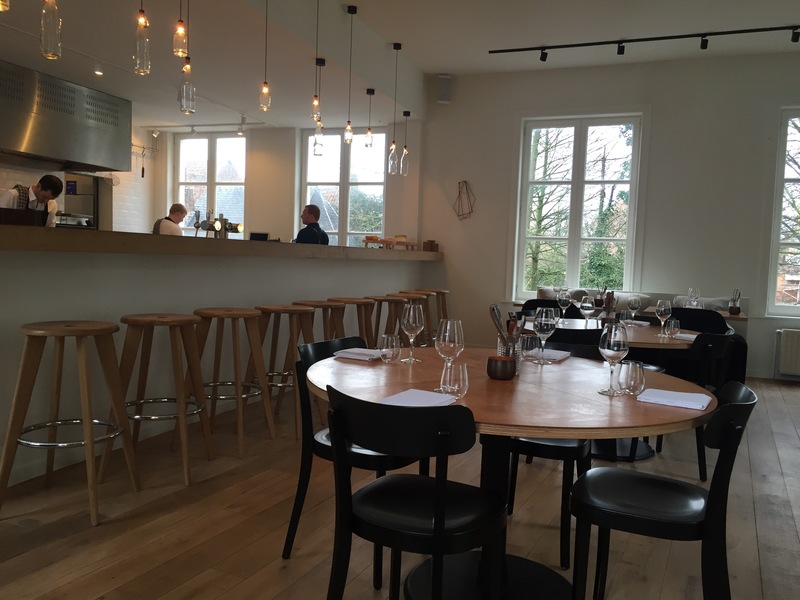 When in Kortrijk, make sure to visit Gust…you won’t regret it… Surely I will be back here and hopefully in good company so that I can taste much more of what the boys in the kitchen have in store. This entry was posted in Geen categorie on 24 Jan 2016 by dilipvw.